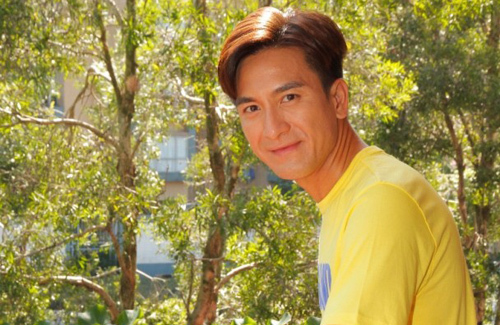 Kenneth Ma (馬國明) has remained single since breaking up with Nancy Wu (胡定欣) in 2010. Placing all his focus on work, Kenneth has steadily climbed the TVB ladder and is now one of the most promoted actors at the station. Renewing his contract with TVB, Kenneth confirmed that he has recently purchased a new home. @akinu Yes.. sound like an introverted..some girls will appreciate this though.. as it’s nice to have your bf home with them instead of always going out to play right? Unless he’s home and ignore her and just play video games. Ha! He sounds like me….prefer staying at home than going out. It’s about time he comes out of the closet and tell everyone he is gay. I’m also a boring person imo. I don’t really do much and I’m content just staying at home all day to rest. But I like to think that i have a rich and active mental life to balance it out. For celebrities, their lives are hectic. What little time they have to rest up and enjoy themselves is precious and should be used fully to recuperate. I don’t understand how some actors and actresses find time to do things outside of work. It basically consume their lives. If I were them, I’d stay holed up in my house all day long and recharge. @coralie I am an introvert myself. for HK celebrities, they are super packed with work and so any free time they have is a luxury to do nothing. I really like Kenneth’s personality, think he suits me very well 🙂 Staying home and playing video games with him after a stressful day sounds like a dream come true HAHA! Heard he has high expectations for girlfriends though..um..good luck Kenneth on finding the right one! Why should he feel like he should work on getting out more? If he likes to stay home, then stay home and be PROUD of it. Not everyone in this damn world is outgoing and a people person and that’s damn OKAY. beyond these glitters – look at the worm holes, think of time and space, ponder about mozart composing his masterpieces in his twenties, be inspired like the great geniuses. get out of your incumbent circle and start mixing around with different groups. start dreaming again. you are a prodigy of the universe and the treasures of a lifetime will be written when you follow your heart. this is what i will say to him.